2. Pour 2 ounces of Spotless into a clean empty bucket. 3. Activate suds with a strong stream of water (approx. 3 gallons). 4. Wash one section at a time with suds, starting at the top. 5. Hose off thoroughly after each section. Rinse with Castle® Seal Spray Wax to leave a protective coating between washes. 6. Wipe off with a chamois. 7. 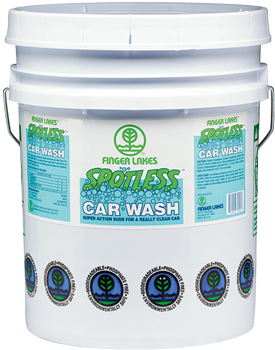 Replace water in bucket throughout the day, never adding more Spotless™ Car Wash.
8. 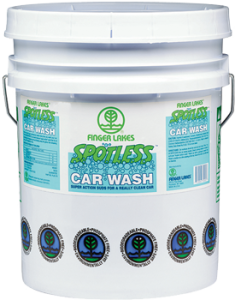 For automatic car wash, dilute ¼ oz per gallon of water.